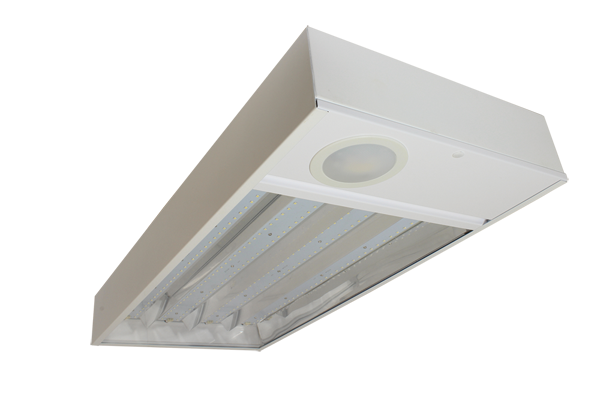 LOWBAY 8050K-DH is an 77W 5000K Slim LED Low Bay Light designed as a replacement to conventional Lowbay light fittings but with the benefit instant on and flicker free operation. These units are suitable for replacing convntional low bay lighting fixtures. 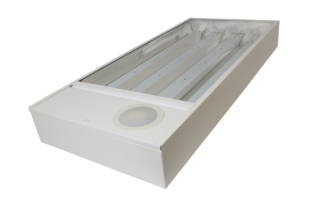 LOWBAY 8050K-DH is a 77W 5000K Slim LED Low Bay Light, designed with a Daylight Harvesting Sensor within the Lowbay; allowing the light to be emitted by movement in daylight as well as darkness. 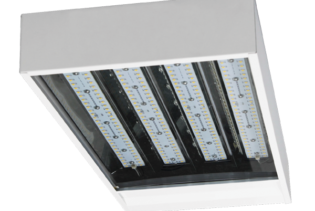 Our 220~240Vac energy efficient feature generates energy savings by decreasing electric light contribution as the daylight contribution increases. 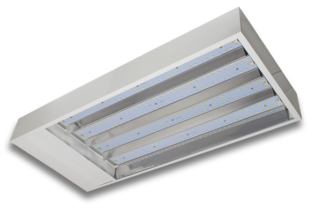 Performing with a white fitting and instant light without flicker, our reliable Lowbays are ideal to light up your industrial and commercial environments, incorporating an IP20 rating. Executing 6400 lumens and a 5000K correlated colour, choose from 10~100% occupancy functions to suit your requirements. The setting holds off 100% light output should there be sufficient daylight and is set up using the remote control with various functions for you to choose from or pre-programme for each run. LOWBAY8050K-DH will also adjust its brightness levels according to the natural light while the room is occupied. Providing lower running costs without compromising on the luminaires performance.